When it comes to choosing a line of products to offer our valued clientele, we highlight our feature products from Fleetwood Windows and Doors. We know how time consuming, and energy draining it can be to thoroughly research modern, contemporary windows, and all other designs for your product needs. That’s why we offer you the finest out front with Fleetwood Windows and Doors. If you still need to research for yourself, a great start would be Fleetwood Windows and Doors. This will set the standard for other companies and products you research on. Fleetwood crafts modern aluminum windows. There is also a large selection of Fleetwood doors. Fleetwood has always kept a keen eye out on trends to satisfy consumer demands. 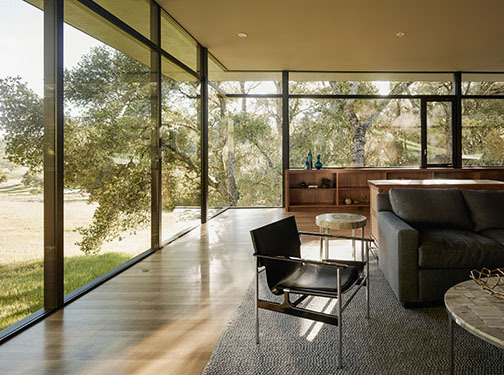 Whether you are looking for contemporary window designs, or designs befitting the trending popularity of mid-century modern homes, you can be certain to find it available as a Fleetwood windows and doors product. We put Fleetwood products out front for the American business ideals they look to embody. So many companies are willing to send their manufacturing abroad, leaving job vacancies on our American home soil. Not so with Fleetwood Windows and Doors, they respond to the challenge of keeping jobs here in America by investing in the American worker. Keeping jobs at home helps to instill American pride in our workers which is reflected in the high quality of our many and varied products such as Fleetwood windows, and Fleetwood doors. Another area of excellence for Fleetwood is their commitment to remaining eco – green friendly! They take great pains to use 100% recycled aluminum and glass to flesh out their product designs. If you get a chance to visit their manufacturing plant located in California, you will see they practice very eco friendly ways. All of their scrap aluminum pieces are collected for recycling. A tour of the factory will demonstrate many other green conscious practices as well. 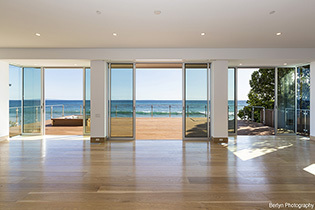 Fleetwood is a leader in providing the greenest modern windows and doors. Whether you are designing for new construction or remodeling your existing home, you’ll find Fleetwood windows and doors offers you the greatest ranges to fit your design plans. And now you know too that when you choose Fleetwood products you can trust in superior design factors, product quality, and top operational performance in terms of practical function as well as product longevity. Fleetwood doors and Fleetwood windows make your creative vision come alive with dazzling possibilities! Series 3800-T Window-Wall System. You would be hard put to find a better way to showcase your beautiful outdoor views. When you have a lot to show, you need the large scale and slim lines of this Fleetwood window wall system that can frame the largest, most majestic vistas. Series 3070-T Thermal Frame Multi-slide & Pocket Door System. Utilizing Fleetwood’s innovatively designed products like these Fleetwood doors, you can bring the outdoors right inside with you! You can also install this Fleetwood door system to create a seamless transition between your indoor and outdoor living spaces.